L'il Dee's Crafting with a Kitten: Golden Christmas! I hope everyone is enjoying the last few weeks of summer. It really seems like our summer just got started and now the leaves are starting to turn, the days are getting shorter and the kids are getting ready to go back to school. I have been really busy the last few weeks. My husband's 40th birthday was this month as well as our store's 20th anniversary. We had a huge sale at Big Pete's and lots of fun events for a week. 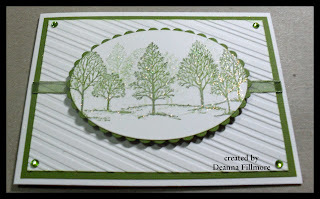 I haven't been updating my blog much but I have been working on cards for September classes. I finally finished the samples for my Christmas card class. I must say it is really hard to design Christmas cards when it is 90 degrees in my studio and I'd rather be at the beach LOL. The first card I made determined the name for this class. I have made this design before and people loved it, so I decided to use this as a class card. It is very simple yet elegant. 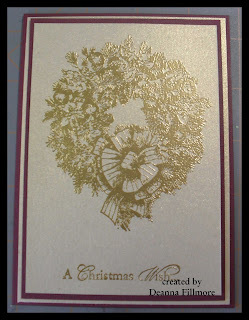 I used gold embossing powder on gold metallic paper. Also a very quick and easy card. Every card in this class has some shimmer and shine to it. Maybe that's what I should have called the class LOL. 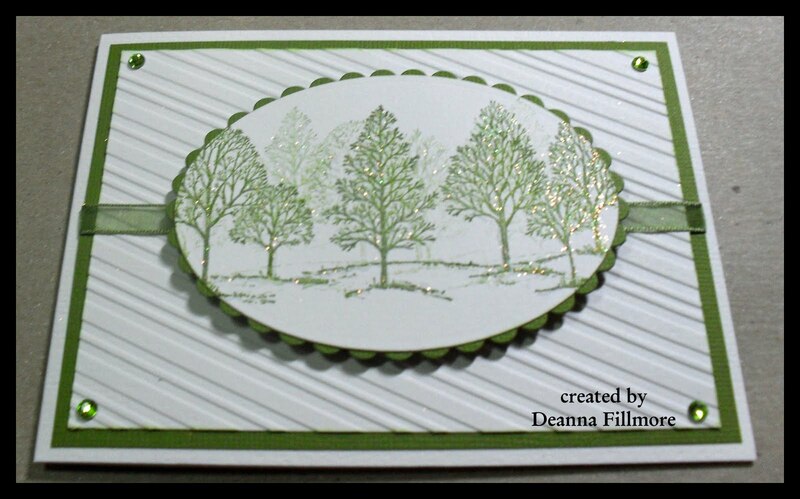 The second card is done using a stamp from the Lovely as a Tree set by Stampin' Up. It is hard to tell in the picture but the trees have glitter all over them. This next card is an easel card done with a snowman stamp from Inkadinkado. 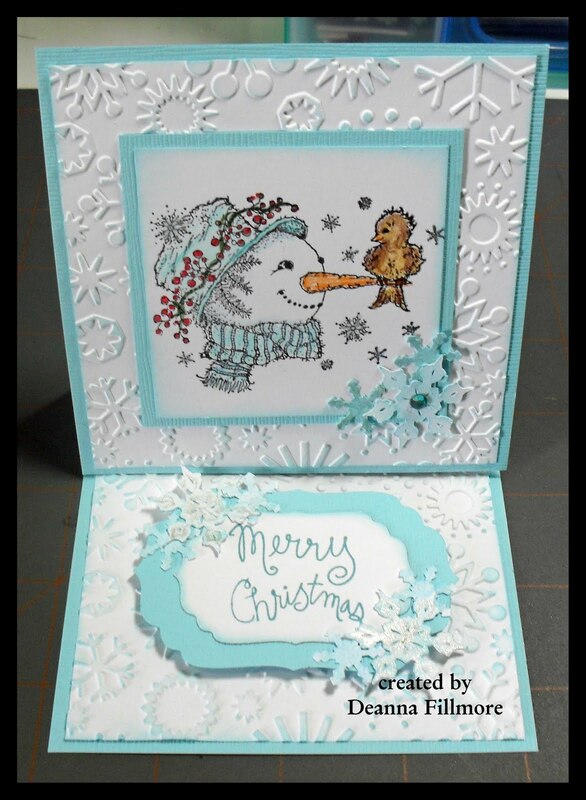 I used a sakura clear stardust pen to highlight the snowflakes in the image and the die cut snowflakes. You can't really see it in the picture. 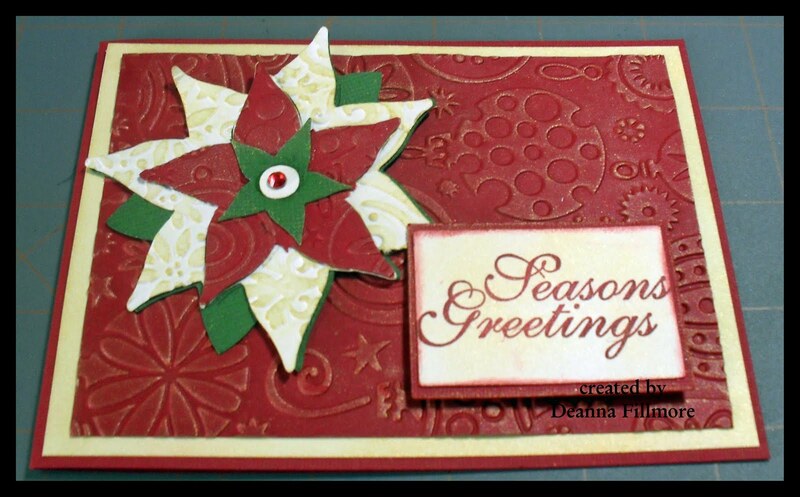 The poinsettia for the last card is from the cricut cartridge "Wrap It Up" (sorry I had All Wrapped Up here before). 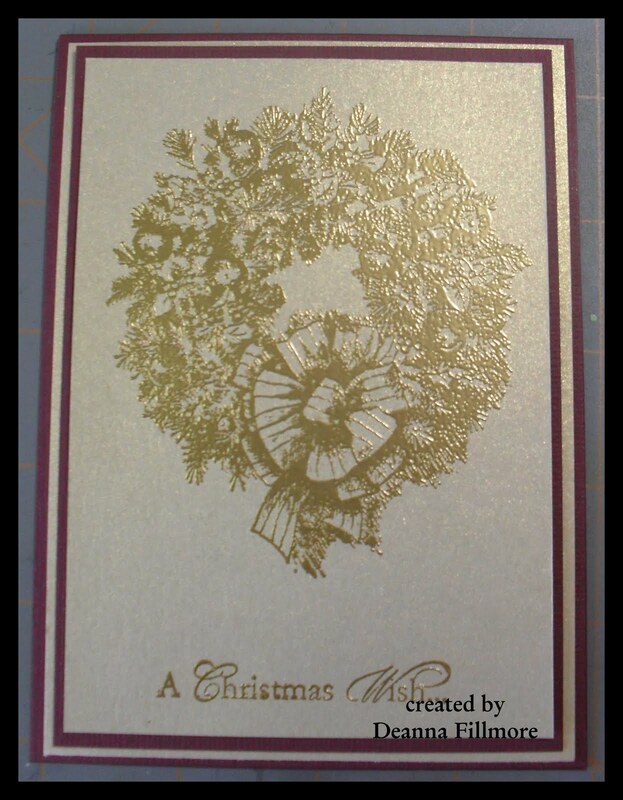 I embossed two of the layers and highlighted it with gold ink. Well that's it for today. I will have more to post tomorrow. Thanks for stopping by have a great evening everyone.